The Fall months are my favorite to fish the backwaters of SW Florida. There are multiple fishing opportunities you can come across during these months. Snook are starting their winter migration after the summer spawn and are making their way back to the creek mouths to hunker down for winter. On this journey, Snook tend to fatten up more than any other time of the year. Snook will be on Mangrove edges and points waiting for an opportunity to ambush prey. I mainly target Snook with live pilchards, but always love the chance to use Topwater first thing in the morning. Redfish have already started their pre-spawn schooling. They are in groups of 20-30 awaiting the big females to come in from offshore. This time of year is best to catch multiple Redfish in a trip. The big groups normally show up mid September and stay until the end of October. Redfish are a lot easier to catch this time of year because they are more interested in spawning and have a tendency to go into a feeding frenzy. Trout will start making their way back to the flats as soon as these water temps start to lower. They will start their pre spawn grouping also, but will only gather in groups of 10-12. Trout are a great way to finish an inshore slam and are even better table fare. You can keep four per angler per day with one of them greater than 20″ inches. TARPON The Tarpon are here in amazing numbers the months of May/June and once you have had your first Tarpon encounter, you will be hooked for life.Tarpon fishing is spectacular in Boca Grande and the number of fish surpass anywhere in the world. When book a Boca Grande Tarpon trip, be ready for the experience of a lifetime. You are sure to have a lot of action, fight a lot of fish, and hopefully take home the coveted boat side picture of your giant Silver King. Summer Hill tides are the best chance to hook a Tarpon. This occurs twice a month and flushes many types of bait from Charlotte harbor into the Gulf of Mexico. Thousands of Tarpon and shark wait just outside the pass for a chance to eat. INSHORE The warm weather is here a lot earlier this year which means means water temps are rising and the fish are beginning to pour out of the back country. The bait is piling into the Harbor every day which is making the Redfish, Snook, and Trout more aggressive with their feeding tactics. Large numbers of fish come out of the back country daily presenting great opportunity to catch multiple species in one day. Oversized Redfish are all over Charlotte Harbor cruising outside bars awaiting any chance to eat and Big Snook are headed closer to the beaches feeding heavily before their annual spawn. Also, Tarpon have made an early appearance this year because of the unusually warmer temperatures. Tarpon season is almost in High Gear!!!! OFFSHORE Kingfish, Cobia and Maceral are on the move. They are staging on Nearshore reefs and are eating anything that gets in their way. Tripletail are on crab buoys in the 30′ depth range. We may have to travel long distances to find them, but are well worth it when they are on your dinner plate. Snapper are feeding in the afternoon, but are hard to keep away from those Goliath. Monster Goliath are on every reef outside of Southwest Florida and are a fun way to spend a day catching. SNOOK ARE MAKING THEIR WAY FROM WINTER CREEKS TO THEIR SPRING DESTINATIONS A LITTLE EARLY THIS YEAR!!! WARMER TEMPS IN FEBRUARY HAVE THEM CONFUSED AND THE LACK OF BAIT HAS THEM ENCREADIBLY HUNGRY. ARTIFICIAL LURES HAVE BEEN THE KEY WITH THIS EARLY MIGRATION. I HAVE BEEN CATCHING THEM STEADILY WITH THE MIRROLURE LILJOHN IN THE COLOR PEARL BUT I THINK ANY BAIT THAT IS WHITE WILL GET THEIR ATTENTION. THE BEST BITE IN THE HARBOR HAS BEEN AT MANGROVE POINT ON THE NORTHEAST SIDE. THOUSAND OF SNOOK ARE COMING OUT OF THE PEACE RIVER AND ARE STAGING IN THOSE DEEP TROUGHS ON LOW TIDE. SNOOK SEASON IS STILL CLOSED THROUGH AUG. 31ST BECAUSE OF THE LOSS TWO YEARS AGO, BUT HOPEFULLY THIS YEARS MILD TEMPS WILL HELP OUR POPULATION. THE TROUT BITE HAS BEEN ON FIRE THIS PAST WEEK. AGAIN, THE WARMER TEMPS HAVE PUSHED THE TROUT FROM DEEPER WATERS ONTO THE SHALLOW FLATS. A LIVE SHRIMP ON A POPPING CORK HAS BEEN THE WAY TO GO. THE KEY IS CHOOSING THE RIGHT LEADER LENGTH IN THE SHALLOW WATER. IF YOUR LEADER IS TOO LONG, THE SHRIMP WILL BURY ITSELF INTO THE LONG TURTLE GRASS AND THE TROUT WILL NEVER FIND IT. THE TROUT SEASON IS NOW OPEN, LIMIT IS 4 TROUT PER PERSON PER DAY 15-20″ WITH ONE BEING OVER 20″…THE TROUT BITE WAS NON STOP ON YESTERDAYS TRIP. WE WENT THROUGH 10 DOZEN SHRIMP IN THREE HOURS AND CAUGHT NOT ONE BUT FOUR TROUT OVER THAT 20″ MARK. 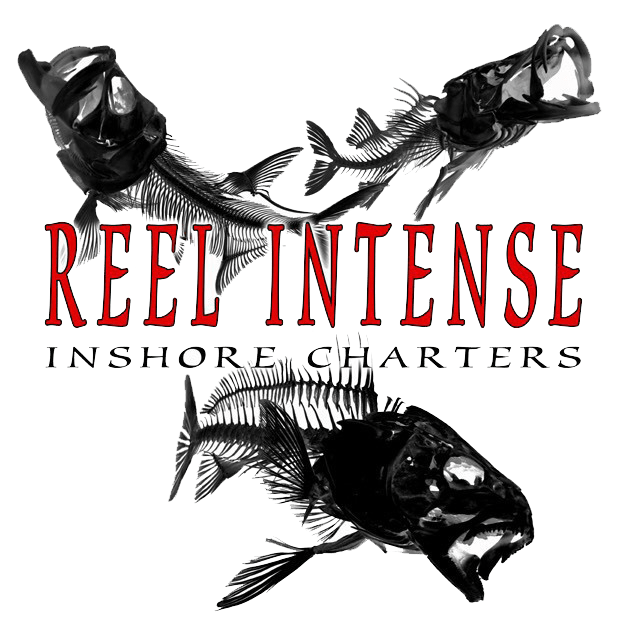 INSHORE BITE IS REDFISH……. The colder weather has pushed the scattered redfish all over Charlotte Harbor into many schools or clusters of fish. The fish do this to stay warm during our colder winter nights. This is exactly what any fisherman wants to hear. Find the school, and a day of fishing turns into a day of catching!!!!! These schools have been seen all up and down the east and west walls of Charlotte Harbor. They are headed to brackish water which tends to be a little warmer in the month of January. Live shrimp have easily been the bait of choice. I have been fishing shrimp on a ¼ oz jighead to ensure the bait gets to the bottom. Bounce that shrimp real slowly, because the fish tend to be lethargic in the colder water!! The redfish aren’t moving much, in the hopes to stay warm, so when you finally do find one at the other end of your rod, be ready for an incredible light tackle fight. Remember, only one redfish per person can be taken home. So make sure the other fish swim away when released for another day of catching!!! Offshore Fishing Of Course, as the weekend approaches, yet another cold front is pushing through Southwest Florida! The wind associated with these fronts make it nearly impossible for those long runs off shore. Luckily, you won’t have to make that run to get to good fish. Schools of mangrove snapper have been piling into Boca Grande Pass. They have been eating live shrimp and pinfish on almost every drop. The key is to fish that pass around the tides. Fish it on the peak of the low or the peak of the high. This is when there is the least amount of water flow in that deep pass, the deepest in the state of Florida. The fish will be feeding during that time because they won’t have to swim so hard to stay in the current. Use a number 2 circle hook on a #25 fluorocarbon leader. Make sure you get that snapper up off the bottom quick or you will find yourself wrestling with a much bigger Goliath Grouper.